Harrogate Choral Society (HCS) is a long-established, friendly, open age, mixed-voice choir of around 150 singers, based in the Spa town of Harrogate. Our aim is always to be the finest choir in the area and, under the leadership of our Music Director, Dr Andrew Padmore, we are encouraged and pushed to the highest standards of musical excellence. We actively welcome new recruits and accommodate new members into all of our sections. If you are an experienced singer, you will recognise that we are a high standard choir. If you are a novice singer looking to improve your standard and aspire to sing with us, we will coach you to this level in a surprisingly short period of time. We are sure you will find the experience and challenge of singing at this level invigorating, stimulating and rewarding ! 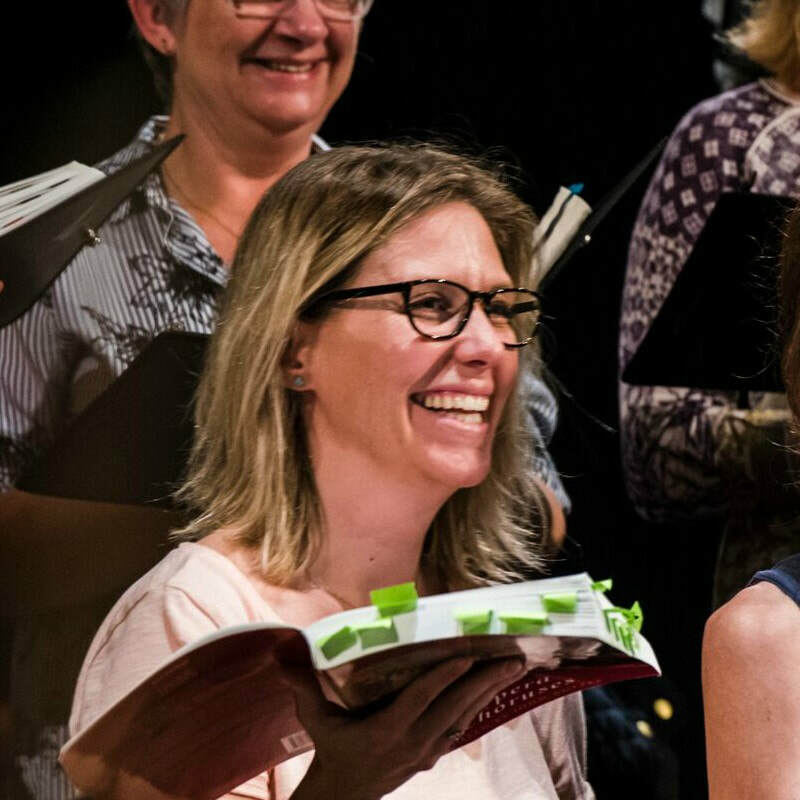 We rehearse from the beginning of September until early June with breaks of about two weeks at Christmas and sometimes a week at Easter. We rehearse on Wednesday evenings from 7.30 to 9.30pm. Our rehearsal venue is Christ Church, Harrogate. Click here for our rehearsal schedule. There are normally four main concerts a year, held in either the Royal Hall in Harrogate or Ripon Cathedral, and occasionally in other venues. We also take part in the annual Harrogate Christmas Concert with Harrogate Symphony Orchestra and hundreds of primary school children! If you're interested in becoming a new member of the society, all you need to do is fill in the contact form at the bottom of this page, and one of our recruitment team will be in touch to arrange a suitable rehearsal for you to come to. Most new members sit in and listen to a rehearsal first, before we will buddy them up with an experienced member from their section to help them with their first few weeks of singing. We can provide exercises to do at home, in between rehearsals, and can provide additional singing lessons if needed. Usually, within weeks, new members are confident and able to fully join in and contribute to the next performance. To make it an even easier decision, there will be no membership fees payable until after your first performance, so you get to sing your first concert for free. ​“I was immediately made to feel very welcome, particularly by the singers around me. I was quite nervous when I started, but never felt out of place. 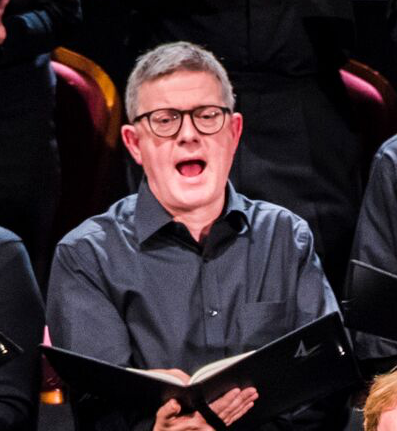 Andrew Padmore, the Musical Director, brings a great deal of infectious energy and enthusiasm to the choir, and he really helped me improve over my first few weeks. I love singing and performing at this level is really enjoyable." Get in touch to sing with us !